I am writing you in the midst of a hard winter. The past three weeks have been incredibly cold. Here in Galati it got down to -22 C (-8 F). On top of that, we have had lots of snow. Both last week and this week, there were days when the roads, train-lines, and the Danube were blocked off. That has led to grocery stores with empty shelves. But the weather has been worse in other parts of the country where houses are completely immersed in snow, there is no access to well-water, it is difficult to get wood from the sheds to the houses, and where villages are cut off from food. Dozens of people, especially the elderly or those living on the streets, have died from the cold. Thankfully, the families with whom we have relationships have managed to get hold of firewood and most of the children have been able to get to school. I would ask you to pray for one of our kids, who I’ll call Catalin. His mother has some mental problems, which causes conflicts between her and Catalin. Catalin has a degenerative eye disease, which has made it difficult for him to stay in school. But he manages his eye problem with some thick glasses. Although Catalin often stays home to help his mother clean their house or to buy groceries from the market or to carry in water, he also avoids his mother, spending time with his friends. 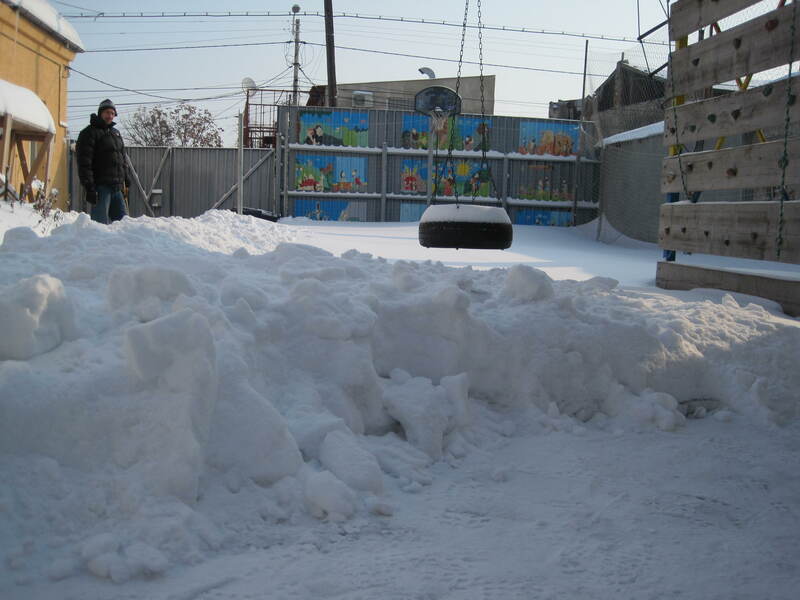 During one of the nights when the temperatures dropped below -20 C (-6 F), Catalin’s mother sent him to buy cigarettes. Catalin returned a few hours later without the cigarettes. So, his mother refused to let him in the house. He slept in a shack next to his house under some blankets. The next few days Catalin stayed with neighbors. Although he feels hurt and rejected, he wept when the mother of some of his neighbors gave him her dinner so that he could eat. Catalin eventually went to the police and convinced them to come talk to his mother. At the insistence of the police, his mother let him back in the house. But because he brought the police, she broke his glasses, which means that Catalin hasn’t been able to go to school. Please pray for Catalin and for his mother. A census was taken last year in Romania. While most of the data won’t be published for another year or two, an initial report has come out on the state of the population of Romania’s cities. It is not an encouraging picture. 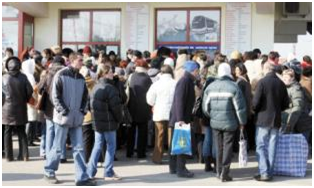 In the last 10 years, the overall population of Romania has decreased by 2.68 million. Of the five cities with populations over 300,000 in 2002, now there are only two: Cluj-Napoca and Timisoara. Galati lost the most inhabitants. Galati lost 22.56% of its population. In 2002, there were 298,589 people. In 2011, there were 231,204. This has devastating affects on the city, on the economy, and on families. Please pray that this trend of mass-migration would cease, and pray for the development of our cities in Romania. In January, I started another series of literacy lessons. We had 6 people enroll, but 3 are coming consistently. And they have made incredible progress in a short period of time. Please keep these new friends in your prayers. We pray that they not only learn to read, but are also drawn to God through our time together. Next week I will be with our community in Chisinau, Moldova. We’ll be working together on a tactical plan. Please pray for the community, for the children that they are ministering among, and for their witness in the city. We are planning a Regional Retreat in May for our communities from Romania, Moldova and Sierra Leone. Although it’s difficult for our friends from Sierra Leone to get visas for Romania, we have started the application process. Please pray that we obtain those visas. And please pray for the planning of the regional retreat. David, Thanks for posting. It is sad to hear about the migration out of Galati. Any ideas on what could be done to improve the situation? better political climate, better education for all, more business growth and/or micro-lending? Angelique and I will be in Galati in September. Perhaps we could make a goal of raising $500 before we come and the Word Made Flesh community in Galati could use it to help the city how they best see fit. Also, the artwork on the gate at the center is awesome!